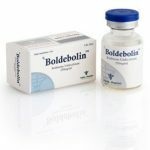 ClenBeyond treating breathing disorders, Clenbuterol is commonly used as a thermogenic. In fact, you will more than likely find more Clenbuterol use in fat loss plans than anywhere else. 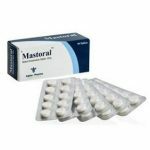 It is a very common fat burning tool used by many anabolic steroid users. It is a long standing favorite among competitive bodybuilders and other physique athletes during contest preparation. However, it is also used by non-steroid users for its fat loss properties. 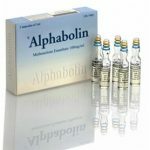 You do not have to use anabolic steroids to use this compound for fat loss. We only mention that because this has for some reason become a confusing point for some. The effects of Clenbuterol on the asthmatic patient are as straightforward as can be. Use of the bronchodilator opens up the airways and enables the individual to breath. 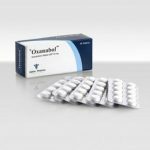 There are other breathing disorders that can benefit from Clenbuterol use, but asthma appears to be primary, and it is often a welcomed medication to those who suffer. This same improved breathing could also prove useful to some athletes, especially those who can benefit from enhanced cardiovascular endurance. However, we’re not talking about a strong, notable improvement and there are truly other methods that are far more suited for increasing cardiovascular endurance. As a thermogenic, the effects of Clenbuterol are again very simple. As the body temperature increases, which again is due to the beta-2 stimulation, the individual is now able to burn calories at an enhanced rate. Body temperature goes up, the metabolism is enhanced, fat cells are stimulated due to the increase in temperature due to the now enhanced metabolism, the breakdown of triglycerides is now enhanced and fat loss occurs. It’s hard to get any simpler than that. While Clenbuterol is a powerful fat loss agent, it is not magical and will not make a fat physique lean on its own. You still have to diet in order to lose body fat, and if you don’t, no fat loss will occur. In fact, even if you’re using Clenbuterol you will still find you need to diet just as hard as you would without it if you are going to lose body fat. This raises an important question; why use Clen? The idea behind Clenbuterol use as a thermogenic in simple terms it to take what you’re already doing right and to simply do it a little better. It’s not going to melt fat off your frame, but it can rev up the metabolism and help you burn fat at a more effective and efficient rate. If you are obese or at least significantly overweight, your best bet is to forgo Clenbuterol use until you are at least a little leaner. The best time to use Clen is once you’re already fairly lean in an effort to help you rid that last little body fat that often hangs on for dear life. 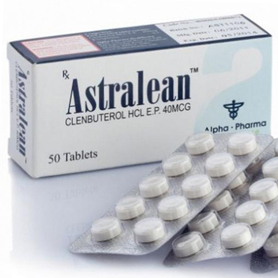 When we dive into the side effects of Clenbuterol, we will find Clen can and should only be used for a set period of time, and it only makes sense to use it when it will be the most beneficial. 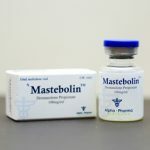 Due to Clenbuterol being best served for final touches in a fat loss plan, this is why you’ll see it in many physique based plans such as bodybuilding, figure, fitness or other related endeavors. It’s commonly used the last 8-10 weeks leading up to a competition, sometimes a little longer, but regardless of the specific time frame the individual is normally already fairly lean. For the average gym rat, one who doesn’t compete but is looking to lean out, we can make some slight exceptions. We’re not saying you have to be contest ready lean in order for their to be a benefit. 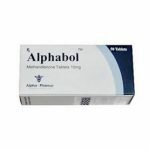 If you’re already in fairly good shape and looking to lean out a little more, absolutely, Clenbuterol can prove useful. But if you truly have a lot of body fat to lose, you’ll be best served by waiting until your body fat is a little more under control. 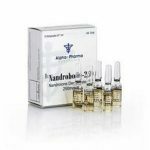 There are several possible side effects to Clenbuterol use, and the primary will surround its stimulating nature. No surprise, after all, Clen is a stimulant. 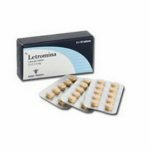 The side effects of Clenbuterol can be very strong and often very annoying to say the least, and they will generally affect most people in one way or another. The most common side effects surround a jittery or wired feeling, shaky hands and increased sweating. Most all who use Clen will experience such effects to a degree, but they will commonly be very pronounced during the early stages of use. As the individual becomes accustomed to the stimulant, such related effects should begin to subside, but they will be so strong in some people that some will not be able to use it. When using Clenbuterol, many often inaccurately assume that when the stimulating effects of Clen began to fade that the thermogenic effects are no longer working. Most will find that the stimulating effects will greatly subside after a week or so of use, but assuming the fat burning properties have vanished due to this lessened stimulation is highly inaccurate. The same dose of Clenbuterol Hydrochloride can actually keep the metabolism revved for as much as five weeks. Granted, by the fifth week mark it will be minimal as the body does most certainly adapt. Due to the body’s ability to adapt, necessarily adjustments must be made to use. We will go over adjustments, dosing plans and total plans of use in the Clenbuterol in the administration section. The aforementioned side effects of Clenbuterol are the most common, but there are other possible effects of note. 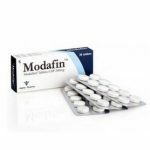 As with many stimulating substances, some will experience headaches as well as possible nausea. One of the more bothersome possible side effects of Clenbuterol Hydrochloride will be muscle cramps. Cramps are not exceedingly common, but they will affect many people. Athletes are often at the greatest risk due to the hard and often intense training they are already undertaking. Staying well hydrated is often enough to avoid or remedy this problem, but supplementing with taurine can also help. Clen has been shown to deplete taurine, so supplementation may be necessary for some. Some may also have issues with insomnia; in fact, some may find sleep becomes extremely difficult. Again, this is very common with many stimulating substances, but with Clen it can, for some, be impossible to avoid. Clen has an active half-life that stretches to the 34 hour mark, and that can make sleep impossible for some people. Many will, however, find if they take their Clen first thing in the morning they will not have any issues with sleep, but due to the long half-life some will find insomnia occurs regardless of when they take it. 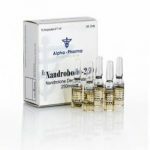 The use of Clenbuterol Hydrochloride also carries with it possible side effects that can be severe; in fact, dangerous would be a more accurate description. Such effects are most commonly associated with abuse through high doses and far beyond recommended extended periods of use. The severe side effects of Clenbuterol include high blood pressure, irregular heartbeat, trembling and even panic. Some studies have also shown that Clenbuterol abuse can also lead to cardiac hypertrophy, which could potentially lead to death. It is very possible to use this compound without such effects, but as with so many things in life it will require responsible use and a thorough understanding of Clen. In a therapeutic setting, Clenbuterol doses will most commonly be 20mcg per day, with some requiring 40mcg per day. It is possible for some to need even more, but it is rare and generally only for a short period of time. This should, in most all cases, be enough Clen to correct related breathing issues, if not, alternative treatments may be needed. In a performance setting as a thermogenic, Clenbuterol doses will start low and generally increase overtime due to a down regulation of the beta-receptor. Most men will find starting at 40mcg per day to be perfect. Many women may also be fine with this starting dose, but many will be far more comfortable with a starting dose of 20mcg per day. As the body adapts, the dose will need to increase in order to maintain the full fat loss benefits. There are several schools of thought on the best way to use Clen in a fat burning setting, but there are only three that really make any sense. All three will work very well, but you may need to try all three at separate times to find which one works best for you. One of the most common methods of Clenbuterol use for fat loss purposes is two weeks on followed by two weeks off. This type of use will normally continue until the end goal is reached. The individual will start with the initial dose and increase it by 20mcg every few days until he has reached the maximum desired or needed dose. The individual will then hold at this dose the final days of the two week period and then discontinue all Clenbuterol use for two weeks. At the end of the two weeks with no Clen, the individual will begin the process again. The two week rotation schedule is very effective, but there is also a problem. During the off periods you have no Clen in your system, and as a result, a two week period with a decreased metabolic rate. This does not mean you won’t be burning fat during the off week periods, as long as you’re dieting you should still lose fat, but you are giving up the enhancement. Due to the body’s ability to adapt to Clenbuterol, continuous use is very hard for some to get their head around. When we consider that the stimulating effects of a noticeable nature began to wane first, the idea of continuous use for some doesn’t make any sense, but we assure you this method of use can work very well. Remember, the same dose of Clen can keep the metabolism revved for up to 5 weeks. 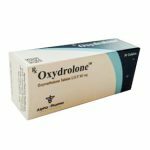 With this type of use, the individual will begin with the starting dose of 20-40mcg per day and hold at that dose for 2-3 weeks. At the end of the 2-3 week period, the individual will increase the dose by 20mcg and hold at that dose for another 2-3 weeks. From here, the individual will increase the dose 20mcg every 2-3 weeks as needed until the diet or total Clen use comes to an end. This type of use will keep your metabolism revved the entire time. It may not experience as great of an increase as would with a massive or very frequent increasing in dose schedule, but it will be a steady and continuous enhancement. There will be no period in the diet during Clenbuterol use that the individual doesn’t enjoy the metabolic enhancement. The final preferred method of Clenbuterol use falls in-between our other two discussed methods. This type of use will last for 4-6 weeks and can be an excellent way to use it for the individual who is only using it the last few weeks leading up to competition. 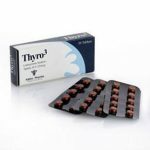 The individual will start with 40mcg per day and increase periodically until he reaches the maximum desired or needed dose and will hold at the maximum dose the final 7-14 days of the plan. The increases in dosing will not be as dramatic as the two week rotation schedule but stronger than the continuous plan. At this stage, if more Clen is still needed, the individual will need to wait 4-6 weeks before beginning a new phase. This makes this type of use best for those who only need a short period of metabolic enhancement. Regardless of the type of schedule you use, the maximum Clenbuterol dose will normally be 120mcg per day. Some may find 140mcg per day to be acceptable, especially some men, but no one should for any reason surpass the 140mcg per day mark if they are going to avoid cardiac damage. Regardless of the total dosing or plan of use you use, Clenbuterol use should be kept at no more than 16 weeks of total use. 16 weeks of total use per year should be your guide. For the individual competing in more than one show per year at different stages of the year, we can make exceptions. However, this individual should try to keep the total use as close to a 16 week total every 12 months as possible for safety reasons. Clenbuterol Hydrochloride is widely available, very affordable and extremely easy to find. However, there is no Clen manufactured in the U.S. and any one purporting to sell you U.S. brand Clenbuterol is lying to your face. There is no such product. As for international brands, they are in high supply and very easy to obtain. 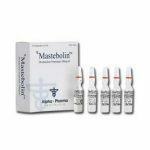 Most all anabolic steroid suppliers carry Clenbuterol, and it is rarely counterfeited. 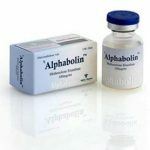 You will also find Clen is readily available from many suppliers of various medications outside the anabolic steroid market. The black market supply of true pharmacy grade Clenbuterol Hydrochloride is extremely high, especially online. Another option for a Clenbuterol purchase is through a research chemical lab (RCL). RCL’s have in recent years popped up all over the online market and are legally allowed to sell items like Clen and other non-scheduled items to U.S. customers so as long as it’s for research purposes only. Due to the necessary research label, it will not come in its original tablet form but rather as a liquid that the individual can simply drink. However, while this is a loophole in the law, if the individual isn’t making the purchase for research reasons he is technically breaking the law. If law enforcement wanted to make an issue out of this they very easily could, and it would be on you to prove the research claim. However, it is a loophole that while it may not always exist is taken advantage of by many people. You can buy Clenbuterol online affordably and very easily. In fact, this will be the only way many will be able to purchase the substance. While it is not a controlled substance in the U.S. those who live in the U.S. and buy Clenbuterol online are breaking the law. The exception would be making a purchase from an RCL for research purposes only. Again, an RCL purchase is very common, but it does come with potential problems. Under dosing can be an issue, but the most common issue is an unstable product. Some RCL’s do not do a very good job with their manufacturing, and while this rarely presents any danger it will lead to the product becoming useless rather fast. Some RCL’s also manufacture their products in a high concentrated way, and this can make it very hard to dose. You can find RCL Clen that comes dosed as strong as 200mcg/ml, we’ve even in the past seen it at 300mcg/ml and this can be a difficult product to dose. 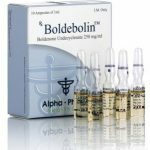 However, there are some fantastic RCL’s out there who make great products that are far easier to dose, but they are heavily outnumbered by RCL’s you should avoid. Researching any RCL heavily before making a purchase is beyond important.